Retro-LEDs was founded on the principle that LEDs are the future of lighting. We understand how challenging it is to discern fact from fiction when it comes to understanding the many ways LEDs can help you address lighting. The primary customers for Retro-LEDs design and engineering services are comprised of companies that require assistance with electronics and full system integration expertise. Our solutions are based on years of comprehensive experience within the lighting industry coupled with an in-depth understanding of industrial fabrication, enabling us to quickly address our customers' needs. The focus within our target market is general illumination, and the two major segments within this structure are commercial and architectural lighting. Our mission at Retro-LEDs is to provide quality design and engineering services to the fast growing solid-state commercial and architectural lighting communities while helping reduce energy consumption without sacrificing aesthetic appeal. With nearly 35 years of electronics, engineering, and fabrication experience, Retro-LEDs is a significant addition to the existing lighting community. Our staff is comprised of engineers from all disciplines including electrical, mechanical, optical and manufacturing. 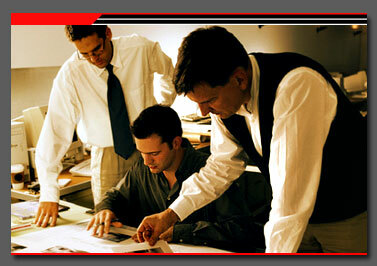 We also have an industrial and interior design group to balance the left-brained side of our team. These are among the most dedicated, professional and helpful people you will find in the industry. Like most in this industry, we have been "bitten" by the lighting bug and share a common desire to produce high quality solutions that will be well received in the lighting world. Our continuous commitment to the environment has brought together talented individuals who aspire to make a difference in the world we live in today. Additionally, resources such as industry contacts, proper information, tools and machinery have the potential to remove the high barrier of entry for many lighting companies moving toward the LED market. This also gives Retro-LEDs customers the competitive advantage they needed to maintain success in the industry. The company is located in Colorado just ten miles north of Denver and only minutes from Denver International Airport. With the population in the U.S. expected to triple over the next 20 years, and given the fact that power plants take 10-15 years to develop, we will likely exceed our capacity by 2012. Since 30% of all the power in the U.S. in consumed by lighting, it can have major environmental waste and ecological impacts. As our country continues to grow, its demand for energy will only increase.